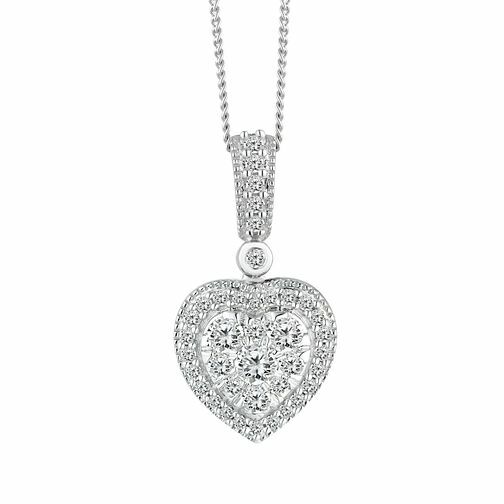 A captivating 9ct white gold pendant, with a fine chain presenting the glamorous and glistening heart shape charm. Embellished with dazzling diamonds, from the charm-drop to the centre-piece itself. This stunning pendant is sure to be a sentimental style statement, ideal for gifting to a loved one. The total diamond weight of this pendant is 0.33ct.